Blimey. That’s nearly it for August. Where does the time go? Before long, the season of mists and mellow fruitfulness will be upon us and the tomatoes ripening on the kitchen window sills will be replaced with pumpkins, plump and golden and just waiting to be whipped into a line of Keats verse. Or maybe a curry. But let’s not get ahead of ourselves. Here in the UK it’s the summer bank holiday weekend which means no work until Tuesday, and what a perfect time to have a long weekend. An extra day is certainly needed to get to grips with those garden gluts (I’ve got a huge pot of tomato sauce simmering away as I type which I’ll freeze in batches for pasta and pizza toppings later in the year) and Ade’s harvested his first ever aubergine which is an absolute beauty! A wellybench no less. 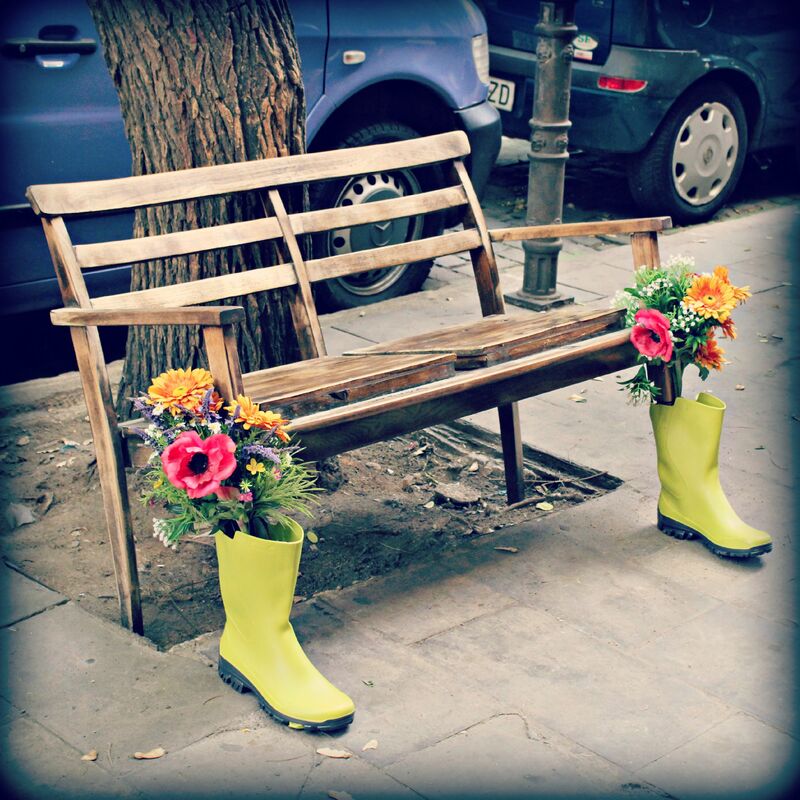 Urban gardening at its most whimsical. Did you guys get up to anything for National Allotment Week? I had great fun messing around on the floor with Ade’s Canon 60D and our freshly-picked veggies to create this home-grown message which featured in The Guardian. Our recipe discovery of the month has got to be this Crunchy Courgette Pickle. A really quick and easy pickle that is so delicious, and which made a very welcome dent to our courgette glut! We came across this excellent TED talk about the global food waste scandal. It’s a couple of years old but the message is still as relevant today. Definitely worth a watch. Oh and if you fancy a read, there’s the September issue of The Garden magazine which Ade keeps banging on about. No idea why. That’s all for now folks. If you have something you’d like us to include in our September Jam, our end of the month round-up of all that’s good, tasty and full of foodie/flowery fabulousness, drop us a line here. This jam is so good I sometimes leave a courgette to turn into a marrow.